Making sure your conveyor is running smoothly is key to keeping your operation running. Manufacturers often give a lot of thought to making sure that the large, multi-million dollar machinery they operate is kept running smoothly but pay little attention to the conveyors that transport their product. However, what many people don’t realize is that conveyors act as the arteries of the whole manufacturing operation, moving product from one place to the next making sure everything flows smoothly. When a conveyor fails the whole operation oftentimes has to be shut down until it can be fixed causing costly down time on the line. One of the most important components of a conveyor and one that manufacturers should always have on hand is the conveyor belt. This is especially important for operations that run 24/7. 24/7 operations have unique challenges when it comes to maintenance because of the greater wear on belts and less time to perform maintenance work. Because of the unique application for each conveyor system there is really no set time when belts should be changed. Manufacturers should make sure to monitor belts and if they show wear they should always change them before they fail. When belts fail this can cause serious problems for the entire operation. A broken belt can damage other components of your conveyor as well as backing-up the production line damaging products. Dorner engineers its conveyors to allow for easy belt changes. However, manufacturers need to remember that it takes more time usually to gain access to the belt to be able to work on it. It might only take 15 minutes to change the belt but to get at the belt it might take 2 hours to make it accessible. This should be taken into consideration when planning maintenance of your system. For 24/7 operations it would be a good idea to try and line up maintenance for time that the line is going to be shut down anyways for other maintenance or when it will be least disruptive to production. To help with maintenance issues Dorner created the Parts Auditing and Preventative Maintenance Programs. These programs are designed help Dorner’s customers keep their operations running smoothly and prevent any down time caused by a broken conveyor. 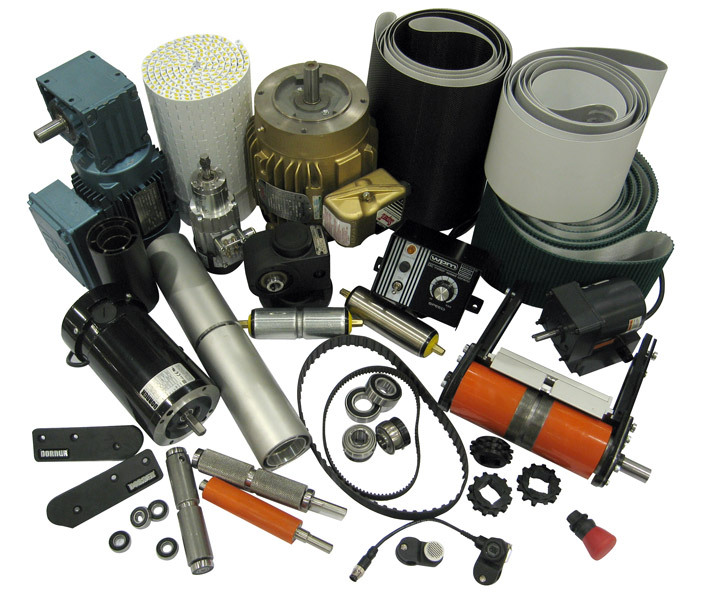 The Parts Auditing Programs is designed to identify parts that customers should have on hand. A Dorner team member will come to your location for free to determine and quote what spare parts you should order to have on hand and any potential maintenance problems. The Preventative Maintenance Program works along the same lines as the Parts Audit Program. A Dorner team member will come to your location and perform a maintenance check-up. They will then compile a report that outlines what maintenance they recommend be done to prevent serious problems down the road. Companies then have the choice to sign a contract with Dorner where we will make maintenance check-ups during the year to make sure that your conveyors are running smoothly. This is a good option for companies that have a smaller maintenance staff or don’t really know how to perform conveyor maintenance. Conveyors are something companies often give little thought to, but once something goes wrong with them it causes a big problem for your entire operation. That’s why Dorner’s goal is to make sure that your production lines are running smoothly with as little disruption as possible. With Dorner’s maintenance programs we try to make sure that your conveyor belts and conveyors are well maintained and lasts a long time so your operations can keep running smoothly.